Mrs Funnybones unravelled Almost everyone has a similar family story in India and this is what Mrs Funnybones or rather Twinkle Khanna pokes fun at. The husband who s the man of the house , the crazy mothers in law, friends and of course the constant jibes at her weight make it an intriguing read. Everything comes together to leave the reader cackling away in laughter. 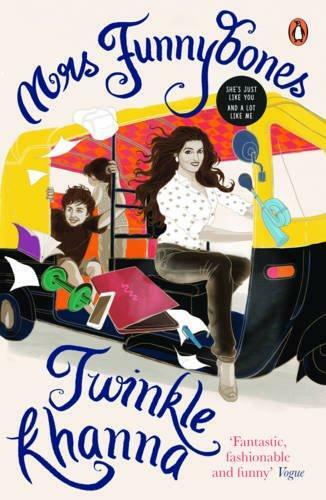 Dwell deeper because this book will certainly make you think The tag line of the book, 'She s just like and a lot like me coupled with the celebrity author might make one wonder, how can one compare a normal Indian household life with the glamorous life of someone like Twinkle Khanna. But that is the beauty of this book. It is not entirely an autobiography of the author, nor is it the typical tell all that celebrities so often write. This is a book of a woman who is a mother of two, an ordinary version of the star and someone who finds humour in the everyday situations that women in India face every day. That is what makes the book relatable even though it has been written by someone who s the daughter of celebrities and married to one. Through her own anecdotes and by drawing parallels between a star s life and a normal life, she has managed to write a book which is funny yet at the same time it forces you to think and comment on the situation. Mrs Funnybones is a comical take on the life of modern Indian women.